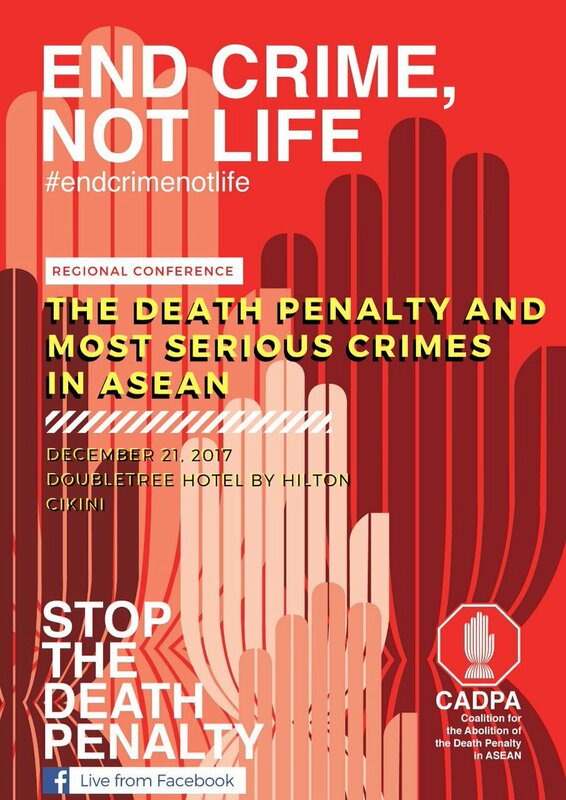 On 21 December 2017, the Coalition for the Abolitions of the Death Penalty in ASEAN (CAPDA) will hold its Annual Regional Conference ‘The Death Penalty and Most Serious Crimes in ASEAN’ at the Double Tree Hotel Jakarta. CADPA was set up by a number of NGOs in the region, including FORUM-ASIA members, HRWG, ADHOC, Imparsial, KontraS, LBH Jakarta, PAHRA and Think Centre, because they felt there is a clear need for ASEAN countries to come together to address the specific resistance in our countries to the abolition of the death penalty. All ASEAN Member States are members of the United Nations. Article 3 of the Universal Declaration of Human Rights states that ‘everyone has the right to life, liberty and security of person’. Moreover, Article 5 of the Declaration states that ‘no one shall be subject to torture or to cruel, inhuman or degrading treatment or punishment’.